Strasbourg Court declares Russia innocent of Katyn massacre | Russian Legal Information Agency (RAPSI). MOSCOW, April 12 - RAPSI. The European Court of Human Rights found Russia not guilty of the Katyn massacre, the mass execution of Polish nationals in 1940, the Moscow News reported on Thursday with reference to its source. 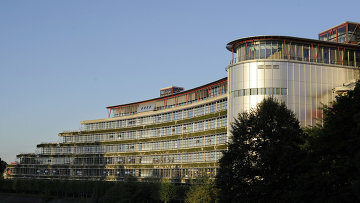 The Strasbourg Court will pass its formal judgment on April 16, but the operative part of the sentence has been already passed. Poland has almost suffered overwhelming defeat in the Katyn case. However, it would be premature for Russia to celebrate the victory as the court declared it responsible for inhuman treatment of some of the applicants. The case might be considered by the Grand Chamber of the Strasbourg Court and be eventually reviewed, the newspaper reports. The Soviet Union blamed the Katyn massacre on the Nazis, stating that the killings took place in 1941 when the territory was occupied by German troops. However, Soviet leader Mikhail Gorbachev formally admitted in 1990 that the executions took place around 1940 and were carried out by the Soviet secret police (NKVD). In November 2011, the lower house of Russia's parliament approved a declaration recognizing the Katyn massacre as a crime committed by Stalin's regime. The Katyn issue was long an apple of discord in the Russian-Polish relations. In 2010, the Russian authorities published copies of documents about the executed Poles and handed over to Poland available materials related to the case. 10:53 12/04/2012 The European Court of Human Rights found Russia not guilty of the Katyn massacre, the mass execution of Polish nationals in 1940.